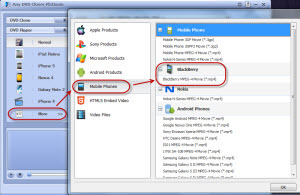 How to Rip DVD to BlackBerry Z3? 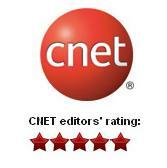 On February 25th, 2014, BlackBerry announced its newest touch screnn smartphone, the BlackBerry Z3. Once codenamed the Jakarta, the Z3 offers a big 5-inch high-resolution display and rely on an all-touch interface with a "make sense" price. The BlackBerry Z3 smartphone is coming soon to customers in Indonesia. It is an all-touch smartphone designed with Indonesian customers in mind. The stylish new BlackBerry Z3 smartphone comes customized with local apps and content and long lasting battery. It is made for the next generation of BlackBerry customers in Indonesia, and will come with BlackBerry 10 OS version 10.2.1, which is the latest version, with plenty of features to be excited about. Rather than a physical keyboard, the new BlackBerry Z3 adopts the big 5-inch high-resolution display which assures customers of a good experience of enjoying videos. For DVD movie collectors, how to rip DVD to the new BlackBerry Z3 in order to enjoy the movie anytime and anywhere? With Any DVD Cloner Platinum, it will be an easy job to convert DVD to BlackBerry Z3. 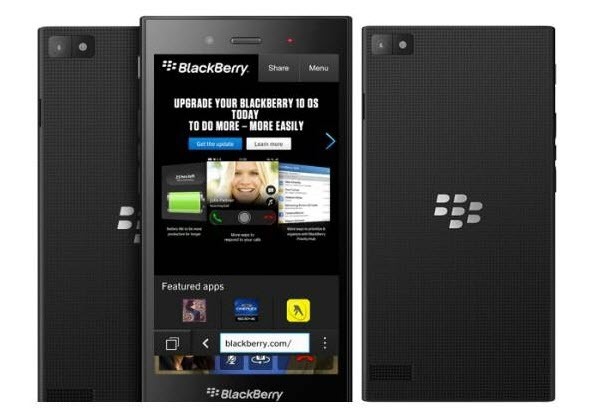 This is a step-by-step tutorial to guide you convert DVD to BlackBerry Z3. Step 1: Insert the movie DVD you want to watch on BlackBerry Z3 to DVD drive and then launch Any DVD Cloner Platinum. Thanks to the intelligent Analyzing Technology, the DVD to BlackBerry Z3 Covnerter would analyze the structure of the DVDs automatically when you first insert them. When it finishes, the structure of the inserted movie DVD will be displayed. 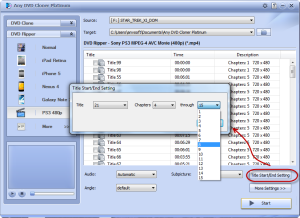 The DVD Cloner program can recoginze the real title which contains the main movie part. Step 2: After it displays the analysis in the main window, please click "DVD ripper" tag. In the list of the dropdown menu, you can choose BlackBerry MP4 video. If you cannot find the option, you can click "More" tag and in the popup dialogue box, choose "Mobile Phones" and "BlackBerry MP4 Video". Click "OK" button to confirm your choice. Step 3: (Optional) You can customize the output video file before the conversion. 1. Choose the part you need to convert. You must have noticed the 'Title Start/End Setting' button. If you decide to exclude some chapters, the chapter selection feature is quite helpful. 2. Customize output video and audio profile. 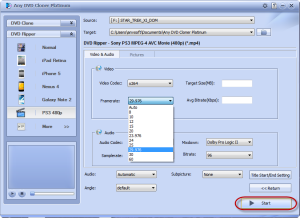 You can adjust the video bitrate, video size and video codec within the DVD to BlackBerry Z3 Converter. Step 4: Click the "Start" button to convert your movie DVD after you confirm the changed settings. The status bar will show the process of the conversion. When it finishes, you will get a meesage and then you can open the destination folder to find the converted video files. The new BlackBerry Z3 can recognize the ripped video file. The DVD to BlackBerry Z3 Converter enables users to remove the protection on movie DVDs and play them on many other devices like BlackBerry mobile phones. The evaluation version is limited to copy 3 movie DVD discs. You can download and at least give it a shot.